The mind is a POWERFUL tool! When I am positive, focused, and open minded I have performed at much higher levels and generally been a much happier person. I have made some changes since Thanksgiving that have freed my mind of negativity + chaos, allowed me to be more focused + present, and opened my mind to so much more! More exploration on so many levels. More belief in myself. More grit. More physical strength. More tenacity. More mental fortitude. More resiliency. More desire to be better than I was yesterday. More potential to be the best version of myself I can possibly be. Life and triathlon can be very uncomfortable at times with so many uncontrollable factors and unknowns. This can make it difficult to stay positive, focused, and in the present moment, but positivity, focus, and staying in the present moment is where it’s at! I have achieved SO MUCH success when I focus on what I need in the present moment. Don’t worry about the past. Don’t worry about my workout after work. Don’t worry about tomorrow’s work meeting. Don’t worry about the next interval. Don’t worry about how the conversation is going to go. Don’t worry about what others are/aren’t doing. What do I need right here, right now? As I embark on my first race week of 2019, I am happy to report that my mindset is strong, positive, focused, excited, and I’m ready to unleash some serious attitude on Sunday!! How do you use your mind as a powerful tool? Growth or Fixed…Which one are you???? I have been reading “Mindset: The New Psychology of Success” by Carol S. Dweck, Ph.D.
Look at setbacks as a way to motivate them to work harder and become better athletes. Have “natural” ability and allow their ego to drive their behaviors. Allow setbacks to define them. Have a “gargantuan personal ego. “Refuse to look at their deficiencies” and only focus on what they are good at. Often resort to the key weapons of “blame, excuses and the stifling of critics and rivals” for why they are not at the top. Are “judgmental.” They constantly judge and critique where they are in their sport often comparing themselves to others, but don’t try to make changes or improvements. We are human beings…we are not solely of the fixed mindset or the growth mindset. There are areas of our lives where we tend to think with the fixed mindset and other areas of our lives where we tend to think with the growth mindset. Are there sports you always assumed you were bad at? Is there a sport that came easily to you until you hit a wall? 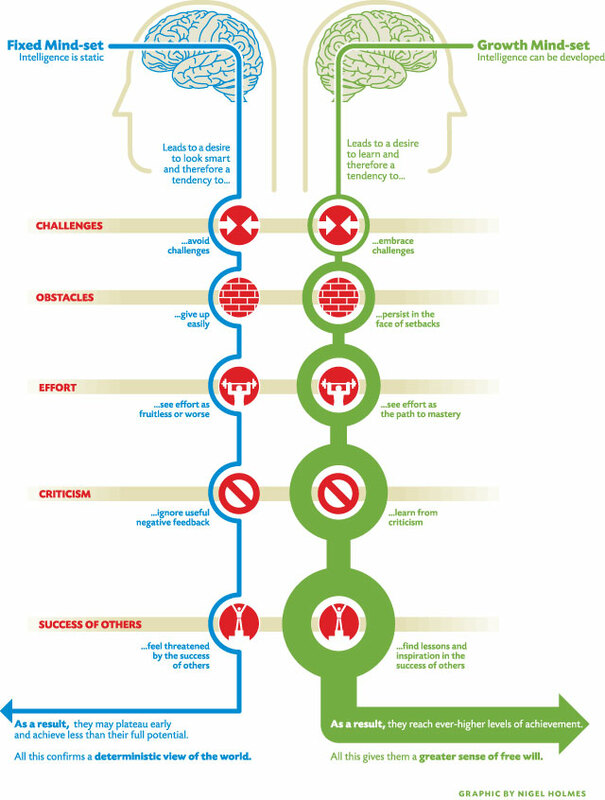 Where do you incorporate growth mindset into your sport? How can you incorporate more growth mindset beliefs and behaviors into your sport?